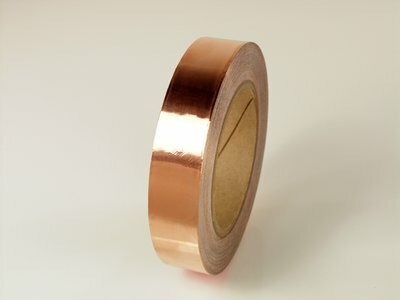 Self adhesive copper foil shielding tape. Electrically conductive adhesive. To shield guitar control cavities against stray EMI (Electro Magnetic Interference). Sold in 12" lengths.